This entry was posted in Facts, Philosophy, Social and tagged adults, artists, children, creativity, philosophy, trauma. Bookmark the permalink. I enjoyed seeing you post about this topic again. I know that I sound redundant, but to me that questions that this poses are a bit of a circle to me; some of the people (like Van Gogh) led challenging, painful lives and I wonder if he would have answered that he would prefer to live without it (although I don’t really know, but some of his writings suggest this). But the circle to me is: If bipolar could be cured in everyone, would we lose something as a society? Would we loseVan Gogh and future Van Goghs? If bipolar and other mental illnesses are one day cured, the other question that also arises (to me) is: Since some of these traits (well not bipolar, but let’s say autism) can be on a spectrum, at what point should people be cured? Will there be a cost or loss to a society? Would we lose people like temple Grandin and her inventions? 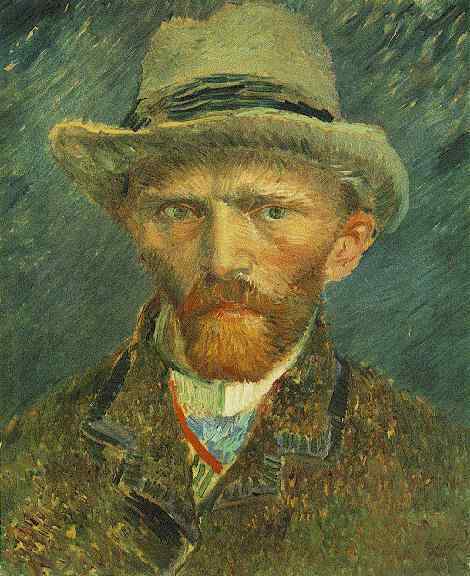 Van Gogh and his paintings? And many, may other people …. (we’d still have them, but maybe the paintings, music, inventions wouldn’t be there). Excellent philosophical questions, Susan. So much more to explore here.